Thank you, University of Delaware! It felt like a great day of learning, conversation, and self-reflection. I've updated this page with the poll results and the presentations from November 8, 2017. Purposeful leadership requires a strong sense of intentionality. In this opening session, managers and supervisors will examine the different kinds of diversity, the business case (or business imperative) for a more inclusive workplace, and also explore the organizational stage-by-stage process towards fostering a work environment where people with profound differences thrive. Participants will determine where they are in the journey, what business outcomes are most relevant and the kind of organizational mindset they aspire to establish as leaders. This session will also build an awareness of the factors that result in unintended and often hurtful or inequitable outcomes. Inclusive leadership is promised to be the heart of innovation. The capacity for leaders to model inclusive attitudes, language and behaviors are the litmus test of any leader's integrity and commitment towards social inclusion. Failure to demonstrate inclusivity at any level of leadership drives people away, harbors discrimination and normalizes inequity. This session provides a framework for what inclusive leadership is and aims to achieve. This session explores the most recent report by Deloitte on when employees feel included, provides a research-based framework around inclusive leadership, and further examines differences in what various employee groups perceive as inclusive leadership behaviors. Whose responsibility is it to adapt? The closing workshop is a space for attendees to digest and self-reflect on what they have learned or discovered through the day, and what impact this might have on their aspirations as well-intentioned managers and supervisors at UDEL. 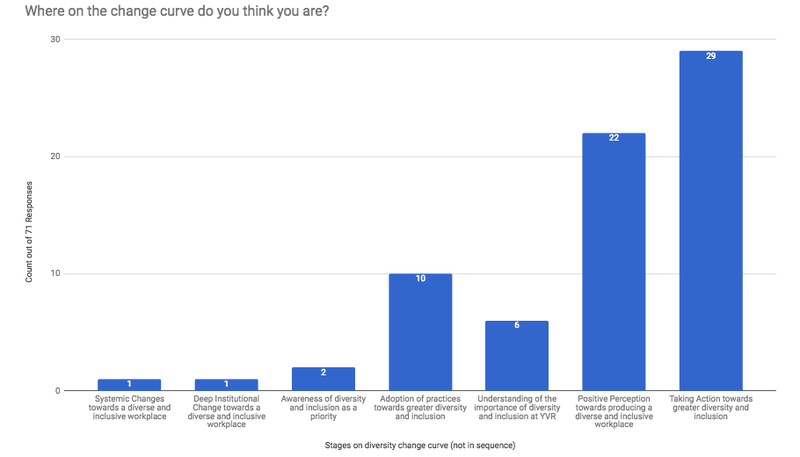 It will also provide additional space for honest dialogue and reflection on how power can cause unintended meaning, and how management can further develop the courage and commitment to lead inclusively, disrupt exclusion and most effectively be an ally to women, people with disabilities, Indigenous Peoples, people of color, and LGBTQ2S+ employees.